Home Page | Posts tagged "dr christine carter"
Raising Happiness! Drop the pressure. 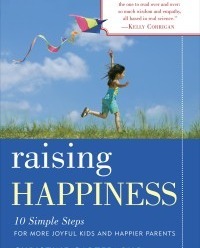 Raising Happiness – 10 Simple Tips for more joyful kids and happier parents. What a completely cool and refreshing title for a parenting book! Dr Christine Carter, Happiness Expert, Sociologist and Parent Educator speaks avidly on the choice parents have to make.